Vulnerable elderly people may have been ripped off by home security system suppliers acting as a price-fixing cartel, regulators say. Four security firms were found to have broken competition law. 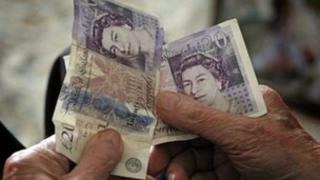 The Office of Fair Trading said their behaviour "likely" meant "higher prices were paid by many elderly and potentially vulnerable people." Tory MP Sir Peter Bottomley said the case had left people feeling "frustrated, impoverished and angry." The four firms are: Cirrus Communication Systems Limited, Peter O'Rourke Electrical Limited of York, Owens Installations Limited of Weymouth and Glyn Jackson Communications Limited of Leeds. The OFT has found that, between 2005 and 2009, they engaged in "a number of collusive tendering arrangements in relation to the supply and installation of certain access control and alarm systems to retirement properties in the UK". The OFT identified what it called "at least 65 tenders that were affected by the collusive tendering arrangements with a combined value of approximately £1.4m." O'Rourke, Owens and Jackson were fined a total of £53,410. Cirrus were not fined as its parent company had brought the arrangement to the attention of the OFT in December 2009. The firms provided electronic devices that allow access via a code to a property. The Executive Director of the Office of Fair Trading, Cavendish Elithorn, said: "Our investigation found considerable evidence of collusive tendering between these companies which restricted price competition in the tendering for this work. "This decision sends a clear message to businesses, however large or small, that we will pursue enforcement action where we believe competition law has been broken. We urge any business engaged in similar practices to call our cartels hotline for leniency - before their co-conspirators do." The BBC has attempted, but failed to contact O'Rourke, Owens and Glyn Jackson. But, in a statement, Peverel Group, the parent company of Cirrus, said: "We accept the findings and are very sorry for the failings identified by the OFT. "These practices were totally unacceptable. They stopped in 2009 when Peverel Group brought the matter to the attention of the OFT and this is not how we do business today. We have cooperated fully throughout the investigation." It added: "Peverel Group has decided to make a goodwill payment to the developments affected of 10% of the price of any work resulting from the tenders." Sir Peter Bottomley, a long standing campaigner on the issue, told the BBC: "It can't be right that people on fixed incomes have been charged for things they might not need, or at prices which are much higher than the competitive price would bring." Sir Peter was strongly critical of the practice of offering leniency in punishment to firms that admit to behaving improperly and inform the authorities. "If I committed a crime, I would expect to be charged and if found guilty, penalised. "In this case people have done things really bad but they have been let off. Is this the most we can do? Where is the compensation for people who have been abused, misused and overcharged?"